AppSync has been updated to bring support for the iPad. For those of you who don’t know, AppSync patches MobileInstallation file on iPhone and iPad OS which is needed in order to install .ipa files manually without using iTunes. A new version of AppSync has now been released which is compatible with the latest iPad 3.2 firmware. Make sure you have jailbroken your iPad on firmware 3.2 before following the steps below. Complete step-by-step guide on how to jailbreak your iPad with Spirit can be found here. 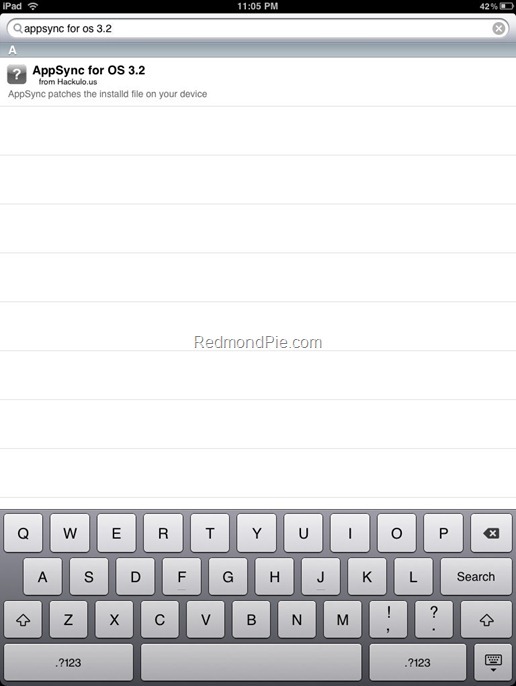 Here’s what you have to do to patch the mobileinstallation file on your iPad. Step 1: Start “Cydia” on your iPad. Step 4: Touch on “Edit”, and then on “Add”. You should now be prompted to enter a url source as seen in the screenshot below. Type “http://cydia.hackulo.us” and click on“Add Source”. Step 5: After installation is completed. Search for “AppSync for OS 3.2” in Cydia and install this application. This app will automatically patch mobileinstallation file on your jailbroken iPad running firmware 3.2. You should now be able to install .ipa files manually on your iPad running firmware 3.2. Disclaimer Note: We don’t support or promote piracy in anyway. This article is purely for information purposes only. Proceed at your own risk. If you like an app, then please support the developer by buying the app from the App Store. You can follow me on twitter or join our facebook fanpage to keep yourself updated on all the latest from iPhone, iPad and iPod touch jailbreaking and unlocking releases. i cant install this on cydia with 3gs 3.1.3. I have to wait for another version, or im doing something wrong? AppSync for 3.2 host unreachable?? help. i accidentally downloaded the appsync for iphone on my ipad. after that i downloaded the correct one for the ipad and deleted the one for the iphone. but the jailbroken apps still wont load on my ipad. pop up screen says error and unable to load the apps. is this because i've downloaded the iphone appsync? but i've already deleted that one. what to do? please help! thanks!